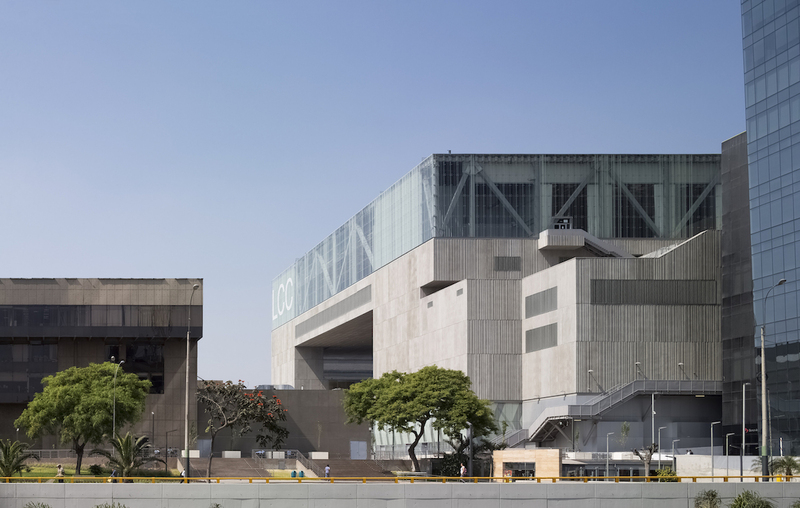 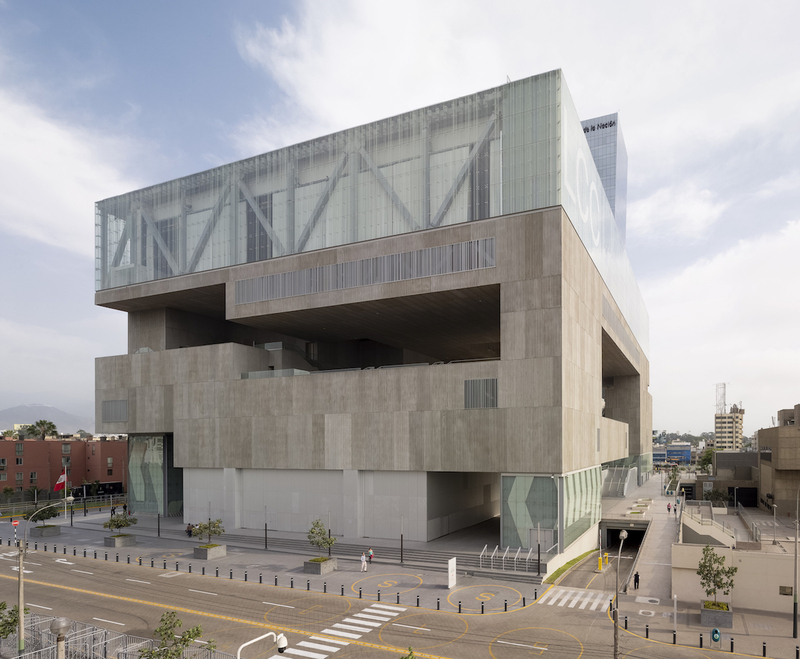 The project and construction of the Lima Convention Centre (LCC) is contextualized by the agreement between the Peruvian State and the World Bank and the International Monetary Fund to hold in Lima the 2015 Board of Governors. 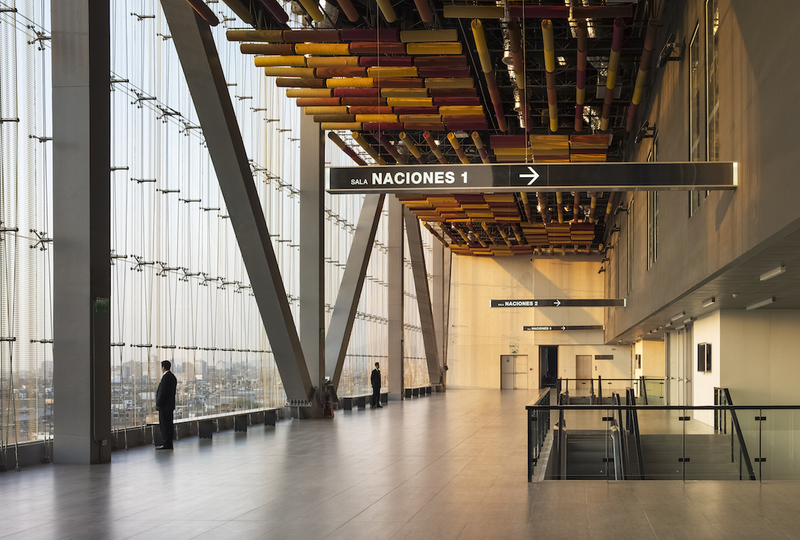 The Peruvian State saw this event as an opportunity to extend and improve the congressional infrastructure available in the capital of Peru. 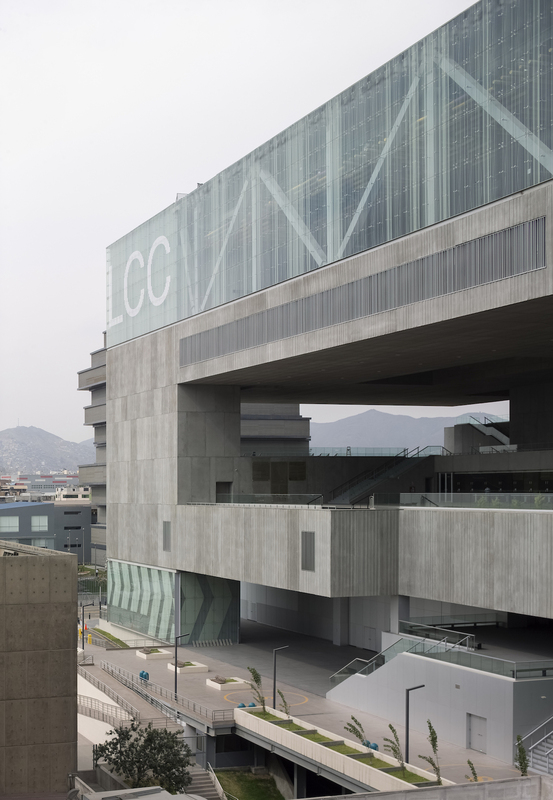 Its strategic location grants the LCC the possibility of becoming an urban landmark, thanks to its community-building capacity. 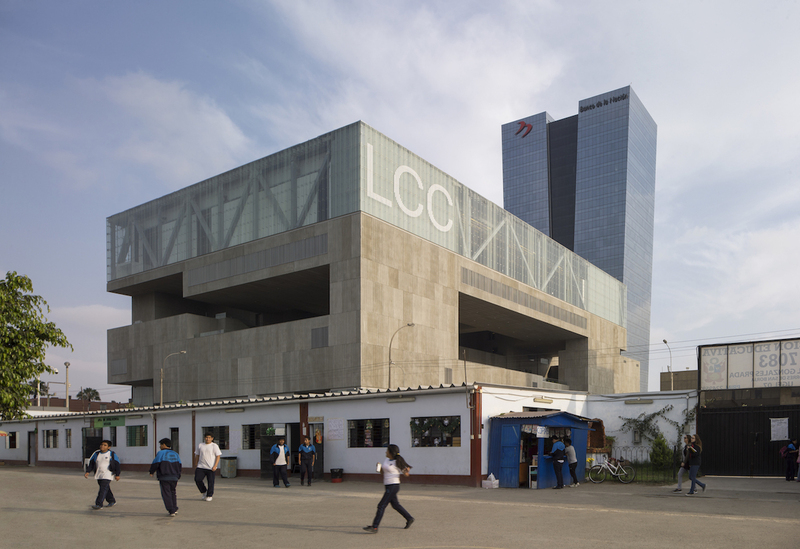 Both the general implantation and the disposition of entrances and programme allow for the people of Lima to make almost the entire facility theirs with a certain degree of liberty, particularly the ground floor. 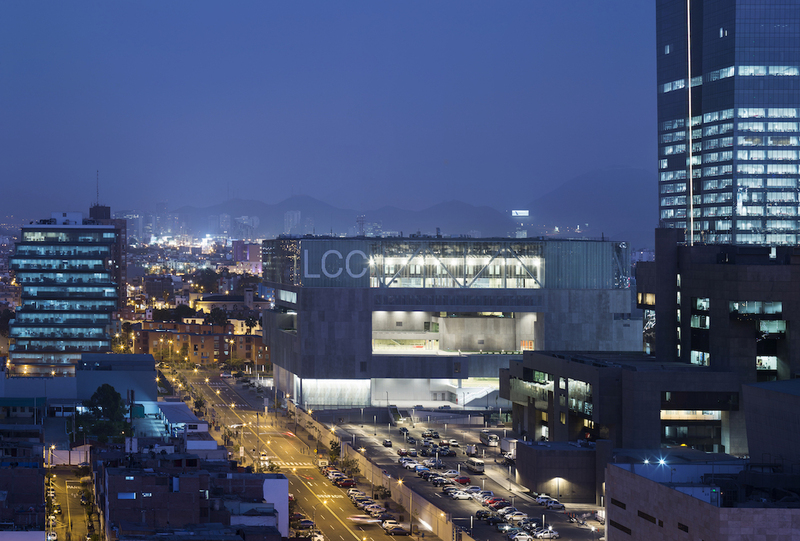 In this way, the project contributes to enhance and unify the urban area of the CCN, revitalizing the current Comercio Street – natural link with the underground – and reinforcing its pedestrian and civic character, which in the near future will be baptized Culture Boulevard. 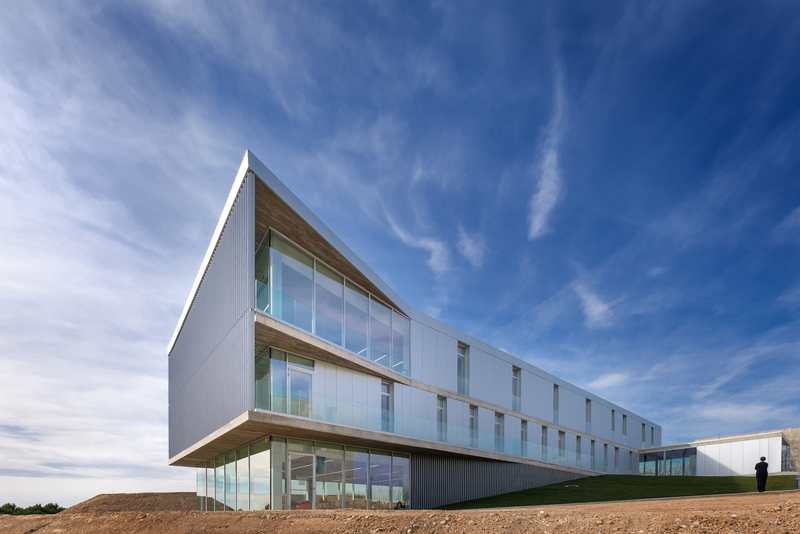 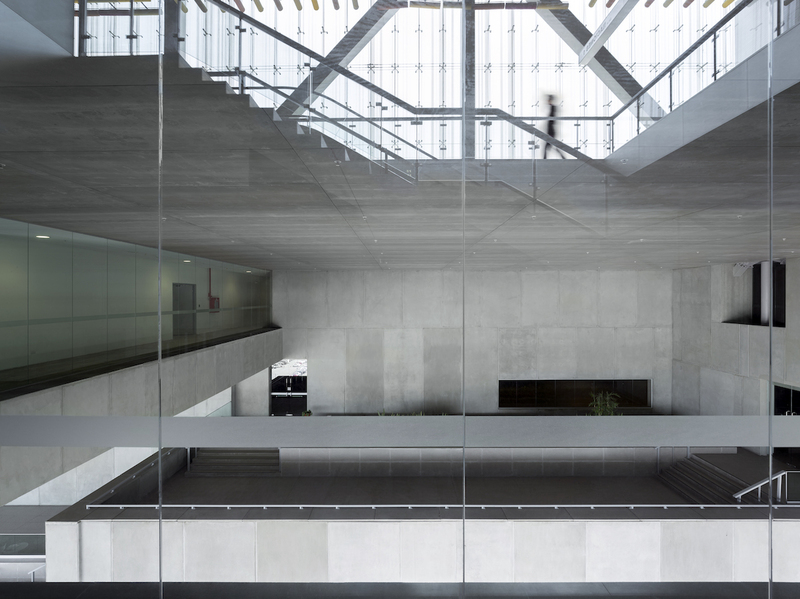 Both the construction methods and the materials used on the different elevations of the building – glass, GRC panels and metal-sheet – have been conceived to blend in with their immediate urban surroundings, establishing a link in terms of appearance with the buildings that make up the CCN. 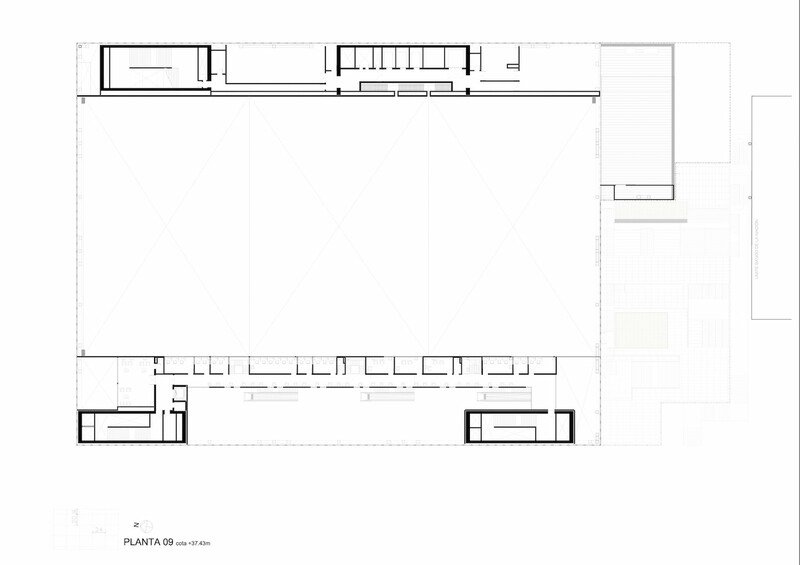 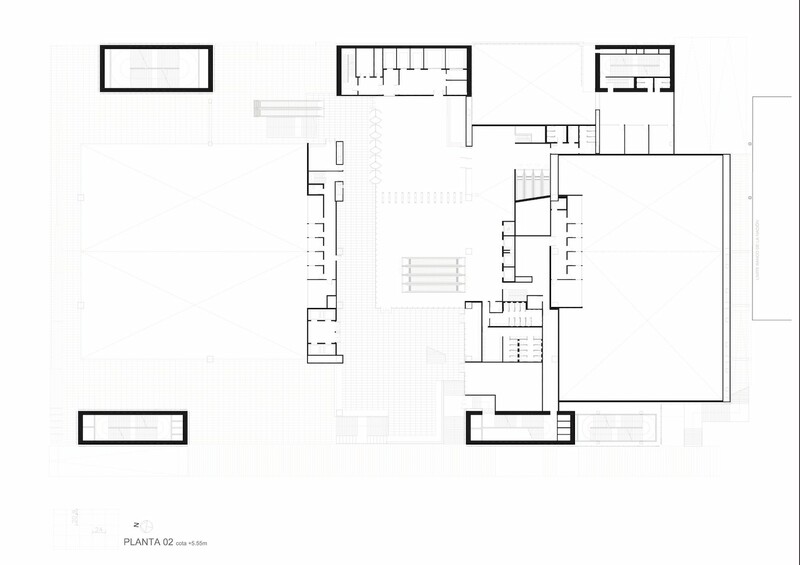 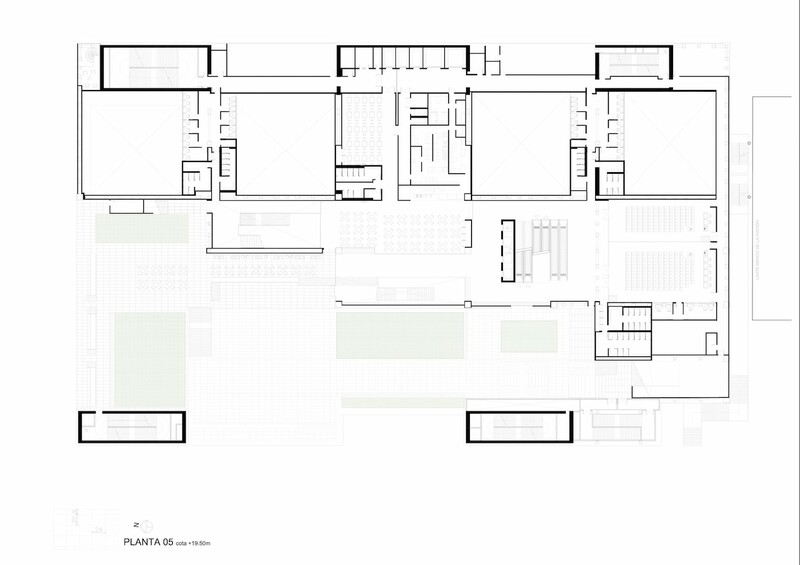 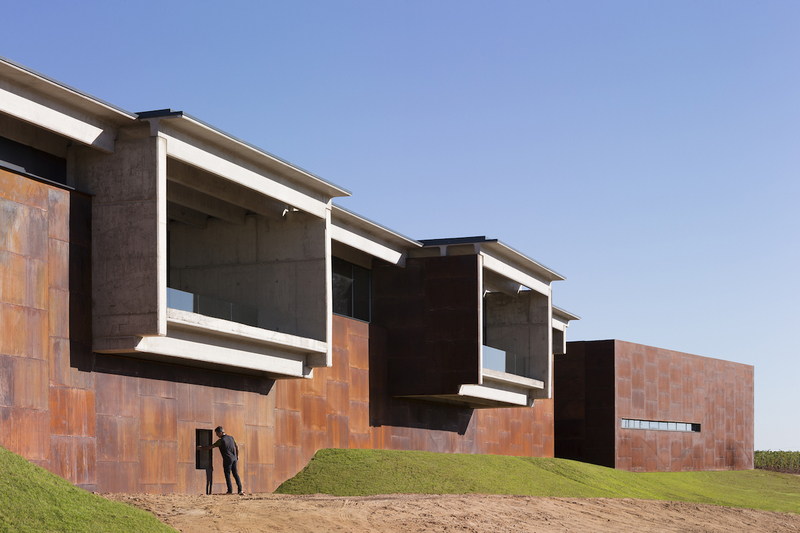 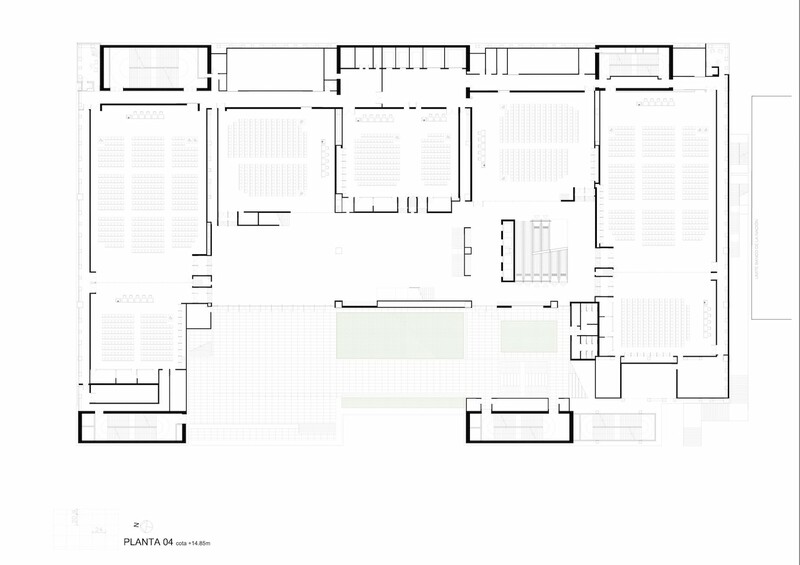 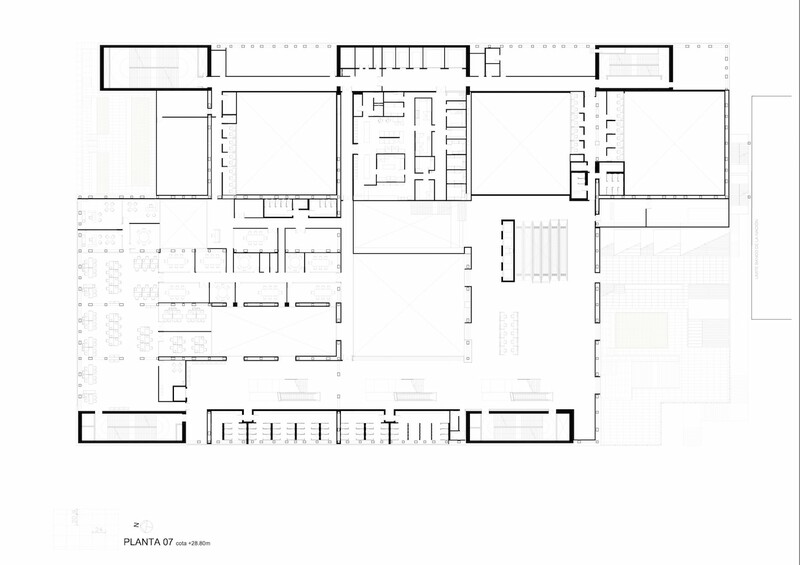 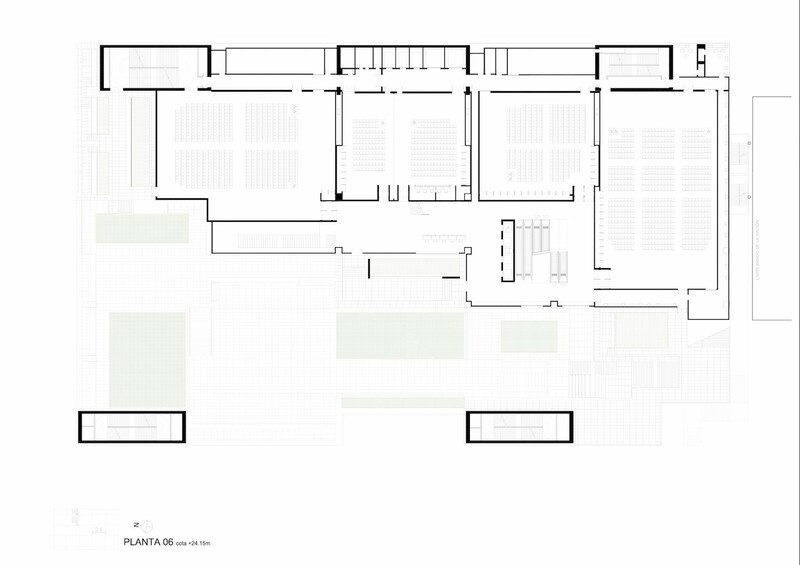 The layout of the rooms is in line with both the proportions derived from the acoustic and visual conditions and the relation between these and the public distribution spaces and the disposition of these and the terraces that overlook the city. 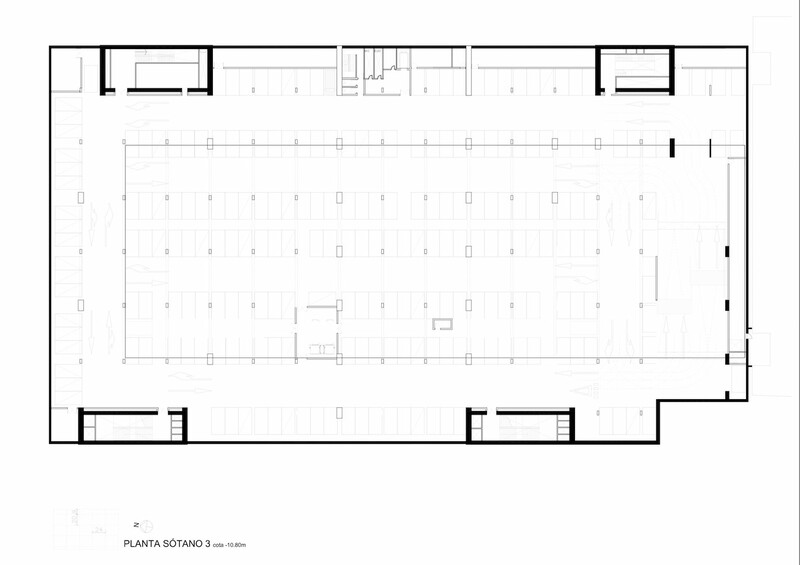 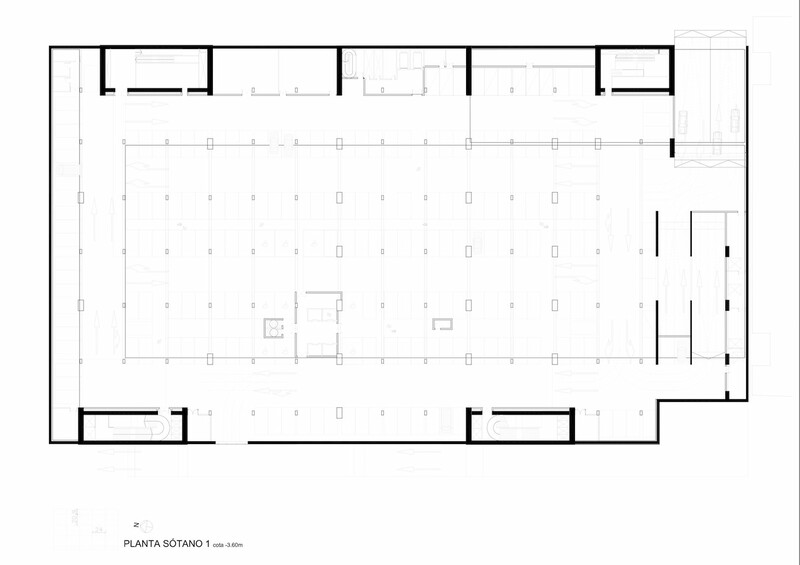 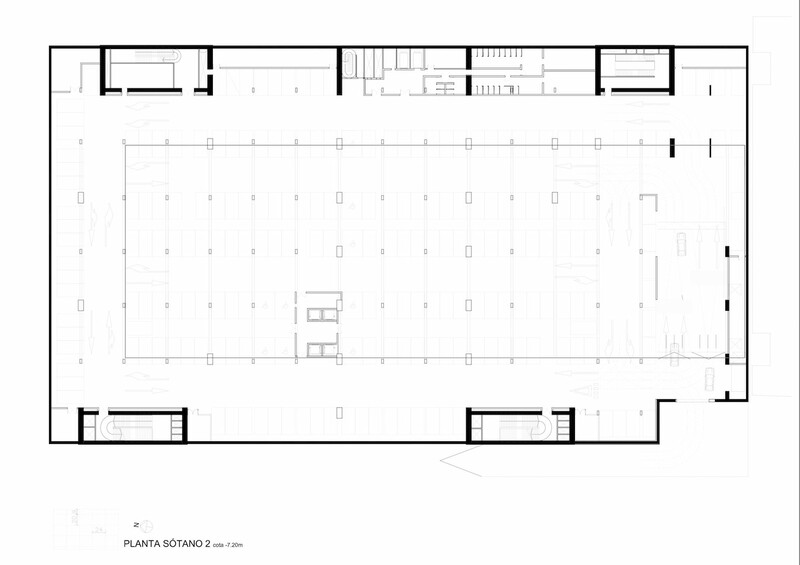 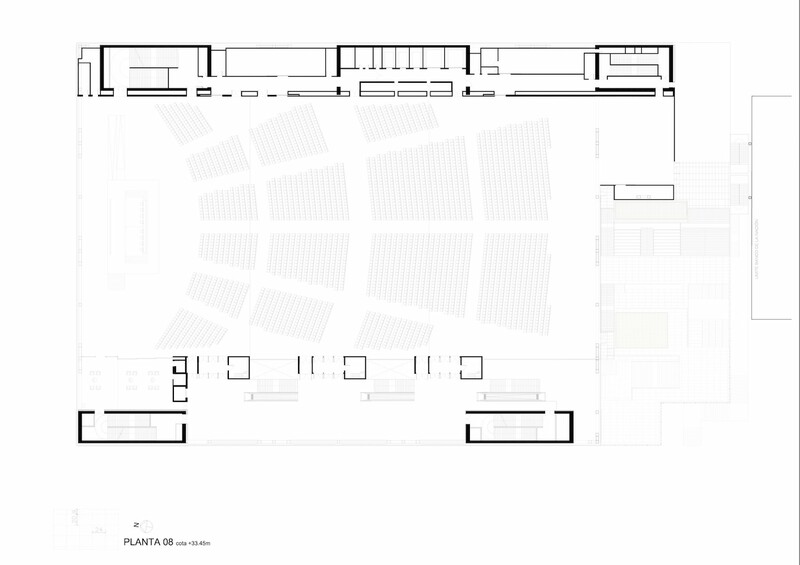 The 1/3 ratio between the net area of the convention halls and the public circulation area – not including terraces – guarantees the correct functioning of the building. 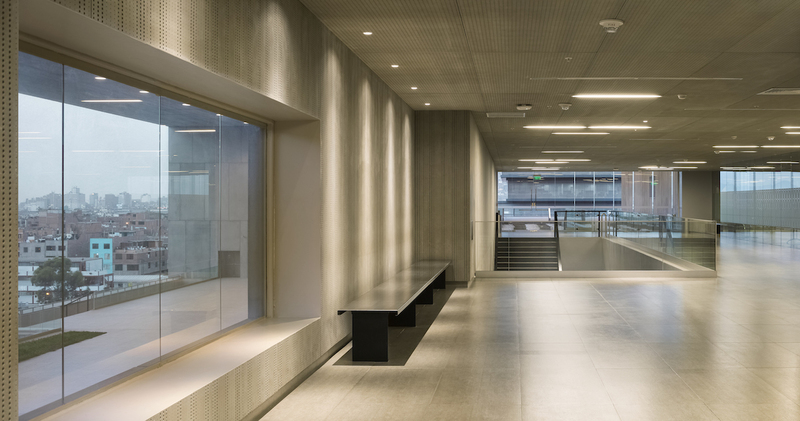 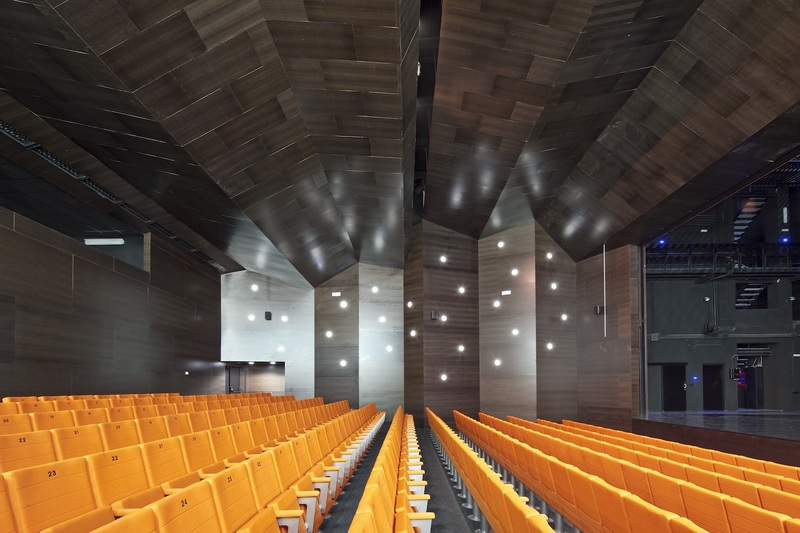 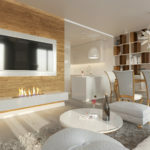 The generous proportion between the area of each room and the number of people attending the venue – 1.5 m2 per person – ensures more than enough space to put in each room both the seats and the usual coffee-break and relaxation areas. 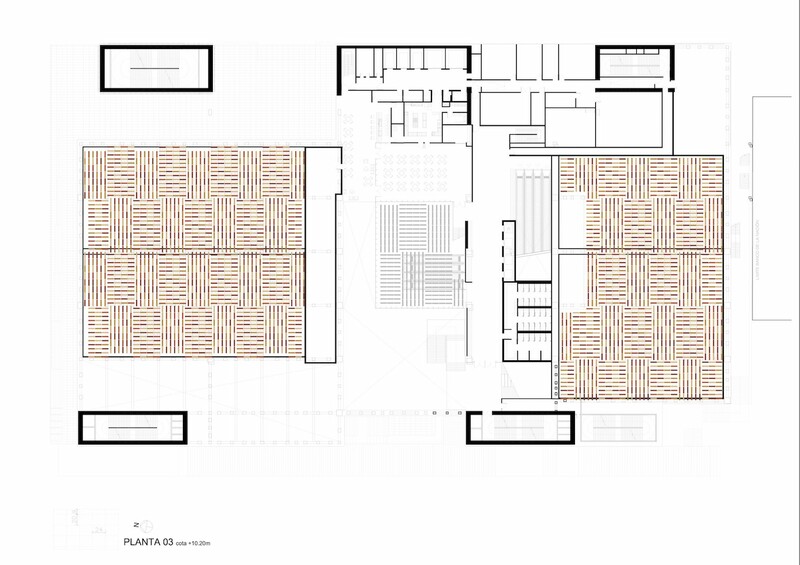 Internal flow patterns have been structured as two independent systems, according to the different requirements regarding access and evacuation speeds. 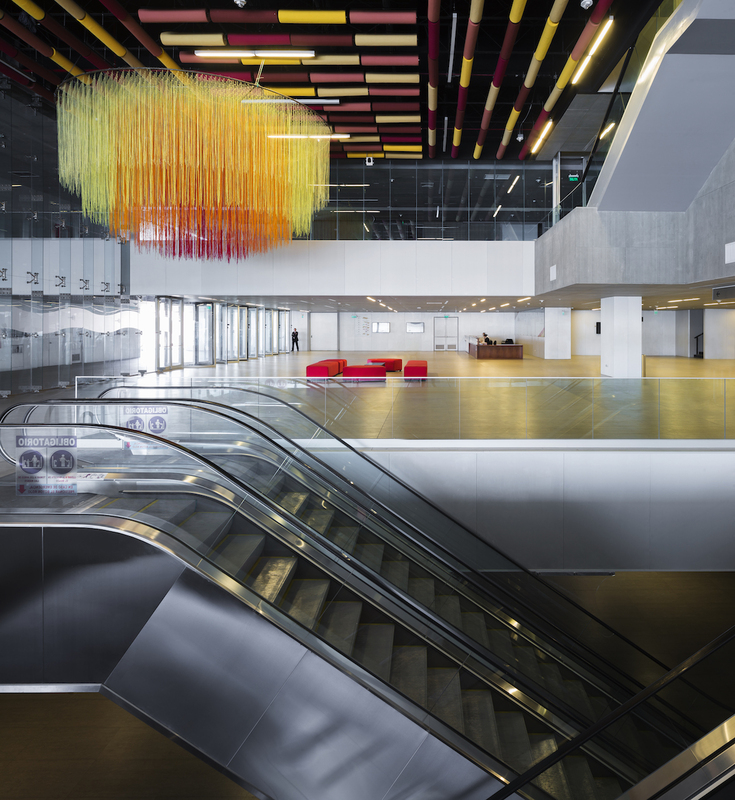 A central set of escalators and lifts offer quick access to all levels. 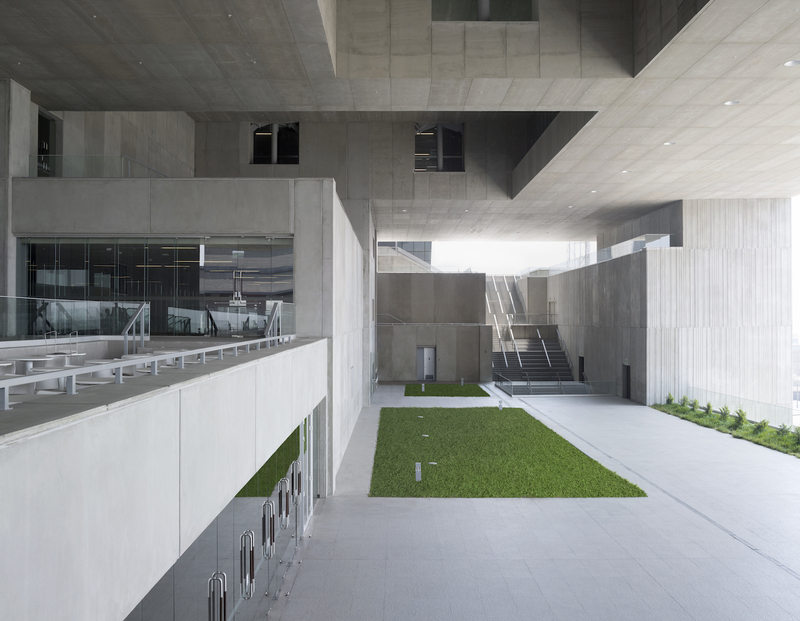 On the other hand, staircases – totally independent from the escalators system – go through the different interior and exterior areas of the building, allowing for the contemplation of Lima from varying heights from all the building’s façades. 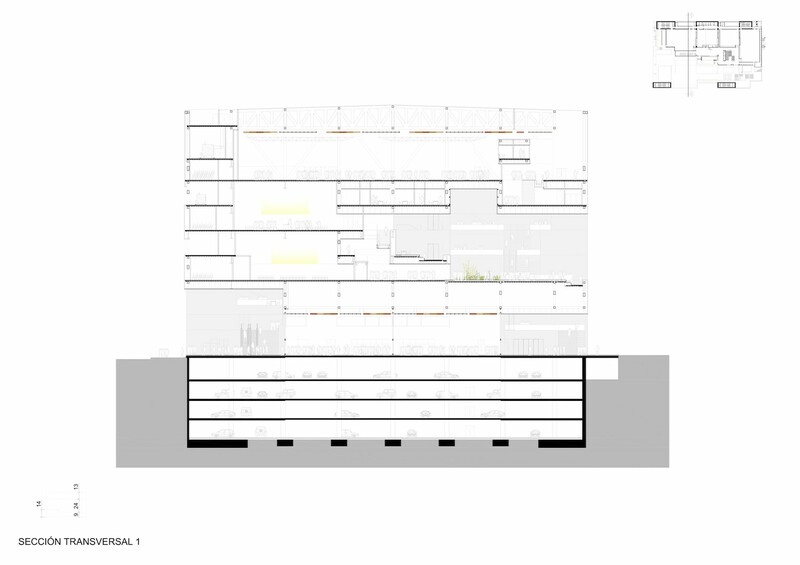 This condition in turn generates a 9,000 m2 flat roof which will literally be a fifth façade for the people in the National Bank – over 100 m tall – as well as for whoever might be in the high-rise buildings that might be erected in the future. 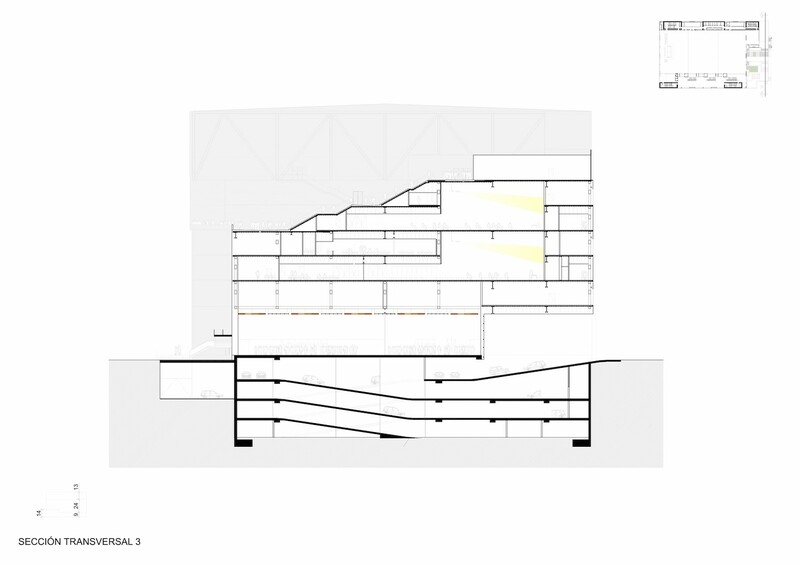 This façade condition of the roof, along with the will to simplify the routes of the HVAC ducts, have determined the position of the HVAC machinery on the East elevation. 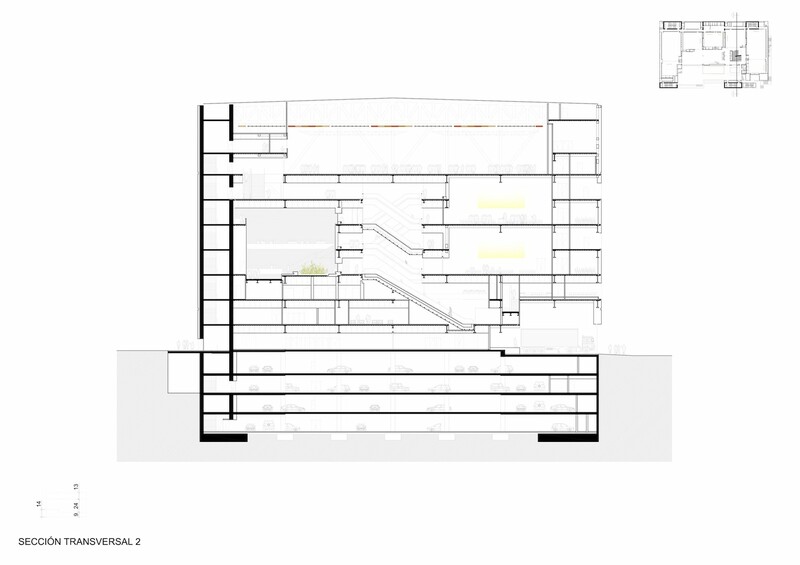 It is left to the building envelope to solve its image.